When you think of a safe, you often believe it is just a way to keep your valuables safe from burglars. But safes can also protect the things ou want to keep secure from fires and even floods. Every home should have a safe; you can’t store everything on the cloud, so adding water and fireproof safes will give you a place to store the things your treasure most. Before you chose a safe, there are some things you will want to consider. Knowing what you want to put in the safe will determine the size and type of device you choose. If you want to store a complete set of China, a 12 X 12-inch safe is not a good idea. 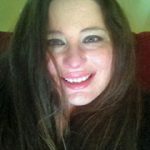 Put together a list of the items you want to put in your safe, and if they are tangible things and not just paperwork, measure them. This will give you an idea of what size safe you need. You also need to consider space to cover the things you don’t know you are going to store. Life isn’t always predictable so you may end up storing more items than you originally thought. So getting a safe that is slightly bigger than you think you will is a good idea. What kind of safe do you need? It’s not just size that matters; you also need to know what kind of safe will work for what you want to store. 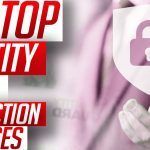 Not all safes are the same, so understanding the various types of safes will give you insight into which one you should buy. These are some of the most common types of safes, and what you can put in them. Barska offers a high-quality safe that has a Biometric locking and unlocking mechanisms. The safe is on the smaller side, but it can be easier to hide from intruders than some of the larger safes. It can also be easy to move, so if you need to take it with you, it’s portable. It’s also hard to break into given that you need to use a fingerprint to open the safe. You also don’t need to use a code or a key, so if you are forgetful, this lock is a good one to own. 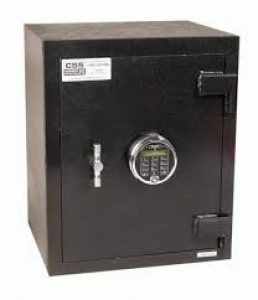 This safe can hold small items like jewelry, cash, firearms, and documents. 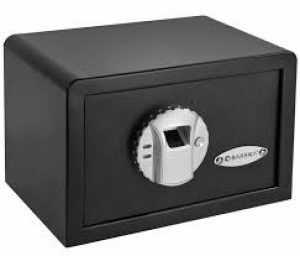 The safe has a solid construction and is challenging even for experienced burglars. It has two solid steel locking bolts and a motorized deadbolt locking system and that is constructed from high-quality steel. 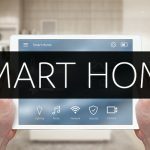 First Alert focuses on home security. 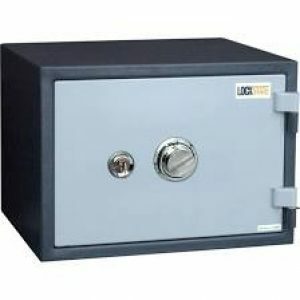 By providing some of the most well-known safes in the marketplace, they pack a lot of quality into a budget friendly safe. While the safe is smaller than some of the other ones we will review, it still provides enough space to protect your documents and jewelry and even firearms. It comes equipped with a digital keypad that allows you to create your own unique codes. One thing to avoid when it comes to creating your code is making it your birthday, or the birthday of your spouse or children. Using easy to guess codes can leave your lock open to comprise from someone you may know. One downside of this lock is that it has no backup option, there is no key override. So, should the batteries controlling the keypad die you won’t have a way to access your valuable items? If you choose this lock, you will need to change the batteries regularly. While the safe doesn’t use much power, it’s still important to change the batteries at least quarterly. Another biometric safe that uses state of the art fingerprint scanning is FireKing. In addition to using one of the most secure methods to lock and unlock the safe, FireKing is also known for having some of the best fire-resistant safe technology around. While you cannot entirely protect a safe from fire, as there is always a small chance that even a fireproofed safe can suffer some damage, FireKing is one of the best at working to keep all of the valuables stored in your safe remain intact and unhurt. 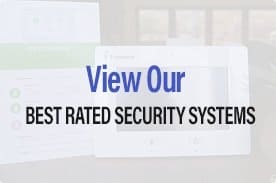 Not only does it employ advanced fingerprint technology, and some of the best fireproofing in the home safe industry it also provides you with a high-quality large safe that can store everything from electronics to your personal documents. This home safe provides you with a well-constructed fireproof safe that meets industry standards. 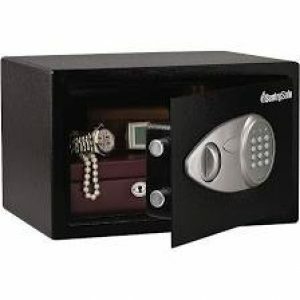 It provides you with a durable home safe that can store everything from your laptop to jewelry. Unlike some of the biometric locks, the Lock State safe uses an electronic locking mechanism that is designed to keep would-be burglars from accessing the contents of the safe. Opening the Lock State LS-30 J requires both a four digit code and a key to open the door. While this is not as secure as your fingerprint, it still provides a high level of protection. 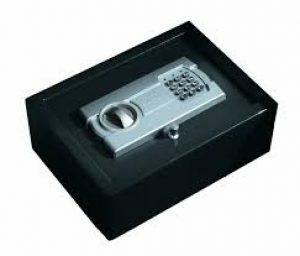 The safe is also made from high-quality steel that passes the drop test. If you are looking for a high level of quality when it comes to fireproofing your home safe, Hollen is a company you should consider. They provide some of the highest quality fire protection in the home safe industry. The Hollen HS-500D boasts that it can provide up to 120 minutes of fire protection. Which means it will protect your valuables up to 1850 degrees for two hours, which kind of gives them the right to boast. The safe is also designed with a seamless body and door construction that adds a higher level of security. It also has grooved walls to resist water intrusion and damage. 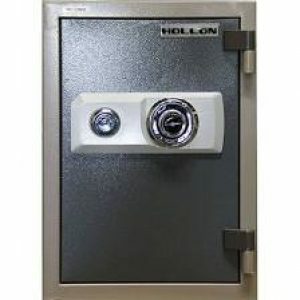 The Hollen HS-500 has a combination style locking mechanism. While this type of entry can be useful, it lacks behind some of its competitors who have moved on to biometric locking options. It does have a backup key option should you forget your combination. The safe, at 121 lbs, adds the addition security of being heavy. It can be harder for someone to remove from your home just based on the weight of the safe. The size also allows you to store larger items in the safe, which is useful if you want to move larger items from a safety deposit box. One the best-known brands in the safe industry are Sentry. The X055-1 is one of the smaller personal safes that Sentry offers. Designed to store jewelry or other small trinkets this safe at 0.5 cubic feet is easy to hide, which adds to the security of the safe. The safe has a digital locking mechanism that allows you to enter your own codes. It also has a rescue key option in the event you forget your code and lock yourself out of the safe. Like most digital locks it relies on battery power, so changing the battery quarterly is recommended. While the batteries do last for an extended time, keeping a regular schedule can prevent the lock from losing power and preventing you from opening the safe. Like most personal safes the X055 has a carpeted interior that is designed to protect jewelry or small devices. If you only have a few small items that you want to protect, the Sentry X055 is a good, and well priced, option. If you are looking for a larger, inexpensive safe that can keep everything from your jewelry to you firearms secure the, (this is a long one) Paragon 7775 Lock and Safe 1.8 CF Large Electronic Digital Safe Gun Jewelry Home Secure System, is a viable option. For the price, the Paragon 7775 comes with some pretty solid features. Like most of the less expensive safes, it offers a digital locking mechanism that lets you choose your own entry code. Constructed from solid steel which is capable of preventing someone compromising the safe, it does a decent job when it comes to keeping your stored items safe. It also includes tamper-proof hinges that attempt to stop anyone trying to open the safe. One of the downsides of this safe is the lack of either fire-proofing or water-proofing features. If you are looking for a way to keep your children from accessing your valuables and firearms, the Paragon 7775 is a reliable option that won’t break your budget. If you are trying to keep expensive items safe from theft, you may want to consider a safe that has a stronger construction and that provides fire and water-proofing. Drawer safes have one great feature; you can easily hide them anywhere. While they cannot store a lot of items, they can store small jewelry and firearms. The PDS 500 is also an excellent way to keep documents secure. It can also double as travel safe, while hotels can offer safes, bringing your own safe will give you an added sense of security. 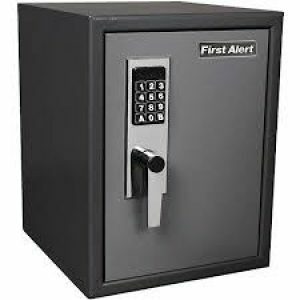 The safe has a digital locking mechanism that has the added features of letting you know when the battery is low, and the lock will timeout if the correct code isn’t entered. So if you just want to store your important documents, a small firearm or you want to add additional security when you travel, the PDS 500 is a great safe for you. If you do not already own a safe, you may want to consider adding one to your home. Safes can keep your most important documents, jewelry, and even firearms out of the hands of people who should not have them. If you are new to safe buying, there are a few things you should take into consideration. First, you need to look for fire and waterproof safes, these safes can protect the contents of your safe from a variety of natural disasters including fires, flood, hurricanes, and tornados. And as we have all seen lately, the weather is becoming more and more unpredictable. Also, since the primary goal of a safe is to keep people out, you also want a burglar proof safe. 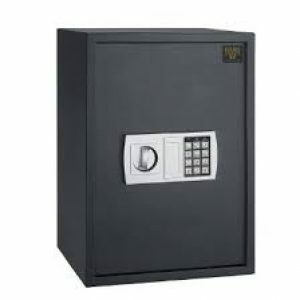 You should look for safes made of a high gauge of steel, a secure locking mechanism, like biometrics and other features that are designed to make it almost impossible to access the content of the safe. Having a safe is of particular importance for firearms owners with small children. We have all heard the horrible tragedies where a child accesses a gun and ends up harming someone else or themselves. Having a firearm safe eliminates that concern. Your weapons can be safely stored away from your children, and they will also be protected from burglars and the elements. Owning a home safe is something everyone, homeowners and renters alike should consider. We all have things we own that we would be lost without. Whether its documents like a will or financial documents or keeping our firearms away from our children. A quality safe can protect the things we hold most valuable. When choosing a safe, you have to take more than just theft into consideration; safes should also keep your valuables from being damaged in a fire or flood. So when you are shopping for a safe, you want to make sure that it has a high level of both water and fireproofing. Having a safe that protects your documents and valuable items from fire, flooding or other natural disasters also gives you piece of mind. Knowing that the articles in the safe will be protected, you can leave you home more quickly. Often people stay too long in a disaster because they are trying to pack photos or jewelry. A fireproof and waterproof safe will make it easier to leave those things behind and get to safety. So should you buy a safe? Absolutely. It is worth the investment when you consider everything it protects.